A project that not only seemed unlikely 10 years ago, but would have been unnecessary is already taking shape at the North Central West Virginia Airport. And it’s coming with a near quarter of a million dollar price tag. 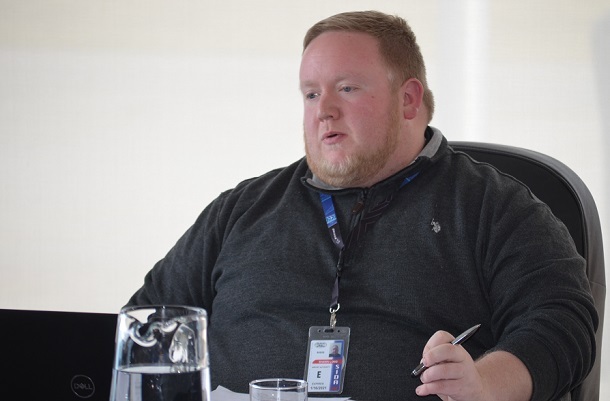 Last month, on March 20 to be exact, the airport’s governing body – the Benedum Airport Authority – approved a bid of $240,000 to build a terminal holding area for passengers to help with a holding area that is often jammed. Three bids were received on the project, according to Authority member and Harrison County Commissioner David Lang. The project was awarded to Bridgeport’s Huffman Corporation. They were the lowest responsible bidder. The good news is that the winning bid actually came in well under the amount budgeted. Officials said the cost was set to go up to $300,000. According to NCWV Airport Deputy Director Shawn Long, Huffman has already gotten started. He said concrete should be poured starting today. There’s a reason for the work getting going quickly. During the March meeting, officials announced that the project has a deadline scheduled for the middle of May or about six weeks from now. The reason for the deadline is that the airport’s busiest time of the year is during the spring and summer months when Allegiant’s Myrtle Beach flight begins and adds to the traffic of the daily United Express flights and the weekly destination flight to Orlando. “For our summer season, we really need to get that done,” he said. When finished, the project that will be done primarily at night will add space for 70 additional passengers. The project is a building that will actually be connected to and adjacent from the terminal building. The new building was among several alternatives considered to ease the crowding that has resulted due to the flights, including discussion that focused on utilizing modular units. There’s a reason for the bulk of the work being done at night. Long said it’s due to the work being done closely to the runway. “They can’t be working while flights are coming in,” Long said. Long-time Authority member Roger Diaz is a huge proponent of the project. Diaz, who spoke to those gathered via conference call, said the airport needs the space. Part of the reason it’s below the $300,000 is that the building doesn’t have to meet some of the requirements that were thought to be needed. That dropped the price substantially, but the building will still be safe and convenient and part of the “secure area” for passengers when completed. 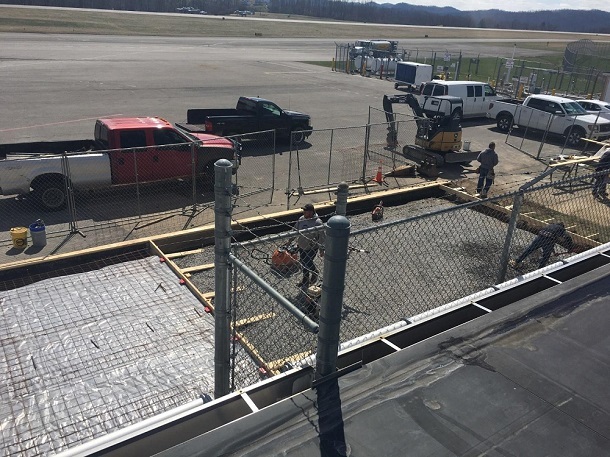 Editor's Note: Top photo shows workers getting started on the quarter million dollar project, while NCWV Airport Deputy Director Shawn Long talks about the expansion at the March 20 meeting.